As somebody once pointed out, heroes are just ordinary people who do extra-ordinary things. That might well be the case. But in an activity like diving, (where nothing should ever be taken for granted), it’s important to choose role models wisely. Either that, or have a good back-up plan to explain away any apparent shortcomings in terms of personal courage and ability. In my case it’s easy. 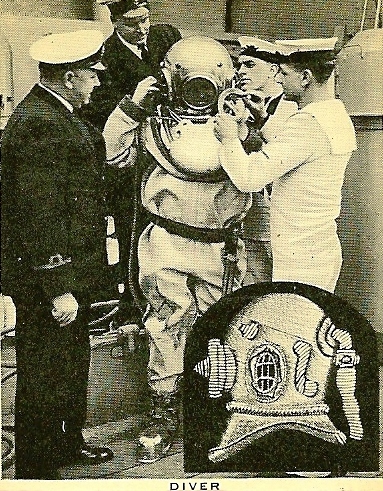 Faced with the prospect of either throwing my body from the back of a dive boat into high seas and a crashing swell, or staying dry and snug in a sheltered corner of the deck while taking charge of the hot coffee and biscuits, I simply tell people that without cowards like me there’d be no yardstick by which to measure the deeds of the brave. It’s a great plan if you happen to believe, as I do, that it’s safer and more comfortable to have heroes than to ever want to become one. Not that I lack courage. I’ve already proven the sort of stuff that I’m made of when, without even a thought for my own safety, I once sneaked up on a sea anemone in order to film my buddy being savaged by an angry clownfish. I’ve even, knowingly, entered the confines of a short swim-through just to witness nudibranchs in a feeding frenzy. Some people reckon that I was foolhardy rather than courageous, but it does help to highlight the fact that the qualities we should look for in a diving role model need to extend beyond mere bravado. The diving Hall of Fame is filled with such people. Not only have they pushed back the boundaries of knowledge by diving deeper, further and for longer than the rest of us, but their accomplishments usually have a greater purpose than that of demonstrating their fearlessness. Many of them aren’t even ‘heroes’ in the strict sense of the term. (Most would cringe at the thought that anyone could ever regard them as such.) Rather than blindly putting themselves in harm’s way, they give considerable thought to their diving practices and reduce any risks to an acceptable and manageable level before setting out to achieve their goals. Although truly worthy of our respect, people like these face a lot of competition from other diving leaders who push themselves and their followers beyond the limits of good sense. Afraid that their admirers will think less of them if they admit to doubt and uncertainty, these people exercise a dark influence over diving by encouraging unnecessary risk taking, a vicious cycle in which it often becomes difficult to tell a deserving hero from a reluctant villain. The problem is, of course, that none of us like to think of heroes as just ordinary people who occasionally like to kick back with a beer and a pizza; who have interests outside of diving; and who have to change their underwear as frequently as the rest of us. The reality is that many prominent divers – people whose achievements we might otherwise have admired – succumb to the pressure of fame-induced ego and die needlessly while attempting to live up to the expectations of those who hold them in high regard.